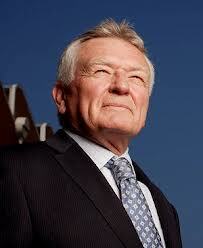 Bruce Mackenzie is to retire as chief executive of Holmesglen Institute, Victoria’s biggest TAFE. I’m not going quietly. This government has done far more financial damage to TAFE than any government I’ve worked with. No question about that. Mackenzie, a former chair of TAFE Directors Australia, is synonymous with the institution he established 31 years ago. During his time at Holmesglen he has pioneered international education in TAFE, introduced higher education into Holmesglen, championed the introduction of commonwealth-funded degrees and developed unique access programs such as pre-apprenticeships. Holmesglen has recently entered into innovative arrangements with the University of Canberra (UC) to deliver a number of UC-badged degrees. A proposal to provide a degree course in dental therapy through Charles Sturt University was vetoed by then Commonwealth minister Chris Evans. Mackenzie drew the ire of state officials when he attempted to buy a stake in the private Carrick institute, which was eventually acquired by the Kaplan group. Mackenzie told The Australian that he had intended to announce his retirement last October but agreed to stay on to guide Holmesglen through a transition strategy, in response to “extraordinary challenges” facing the institute at the time. This review has now been completed and thanks to the incredible efforts of staff and the unique culture of this institution, we have made amazing progress. He said the “current disconnect between state and commonwealth” was failing Australia. An interconnected tertiary sector is essential for the future of Australian students and their future work opportunities. That can only happen when tertiary education is placed under one jurisdiction. TAFE institutions are an incredible community asset, with the power to transform people’s lives. I am proud to have been a part of that.